The stoke is high at this women’s only ski camp. Take your backcountry game to the next level with former Olympian, and world’s most winning freestyle skier, Jess McMillan. 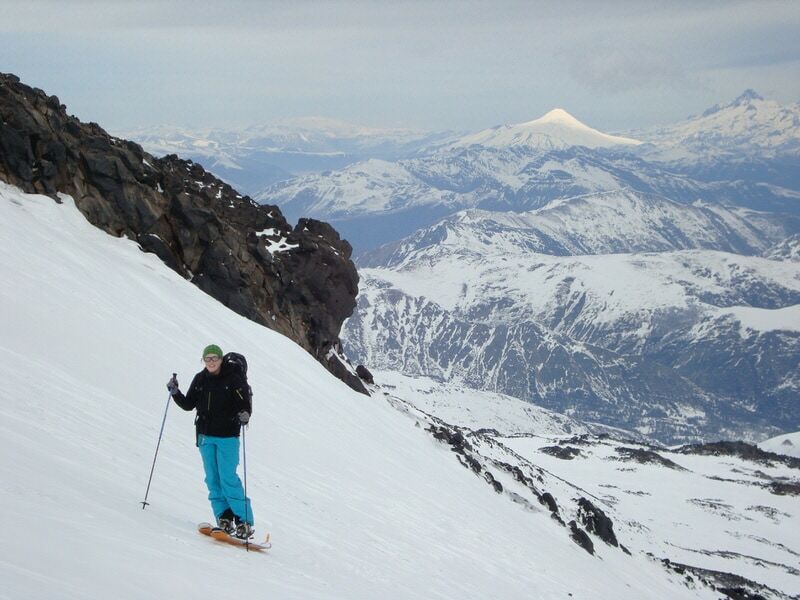 Ranked at one of ‘The Best Ski Camps for Women’ by Teton Gravity Research and ‘Top Summer Ski Camp’ by Warren Miller Entertainment, this exclusive women’s only ski camp in Chile is guaranteed to unleash your inner badass. 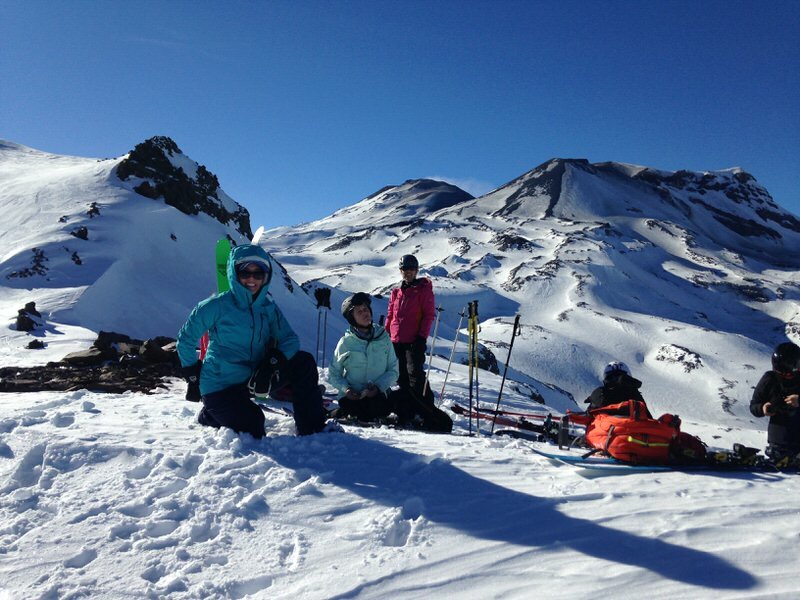 Discover the expansive world of lift assisted ski touring with a focus on improving (or learning) backcountry skills and mountain safety on Volcano Lonquimay and Corralco Ski Resort (first time tour’ers welcome). 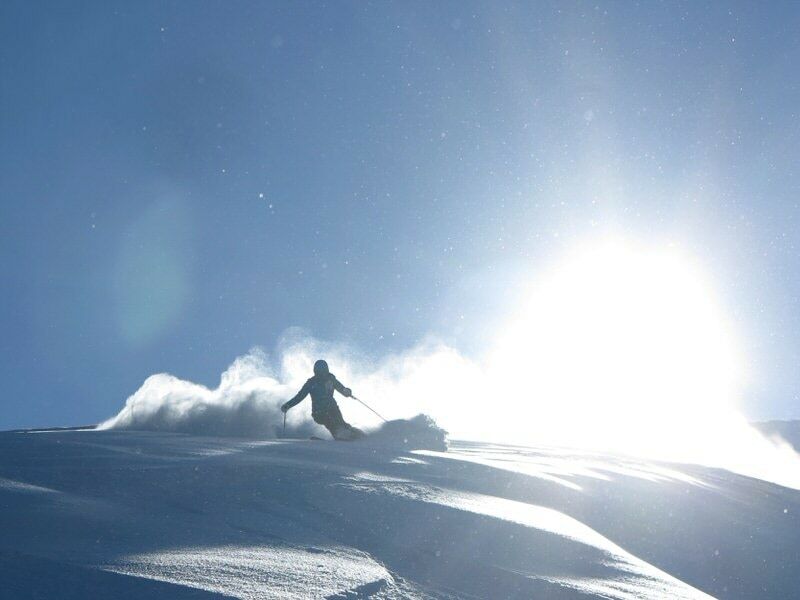 With daily backcountry ski touring and freeride clinics lead by pro skier Jess McMillan and a certified PowderQuest ski guide—this is the perfect place to up your downhill game. 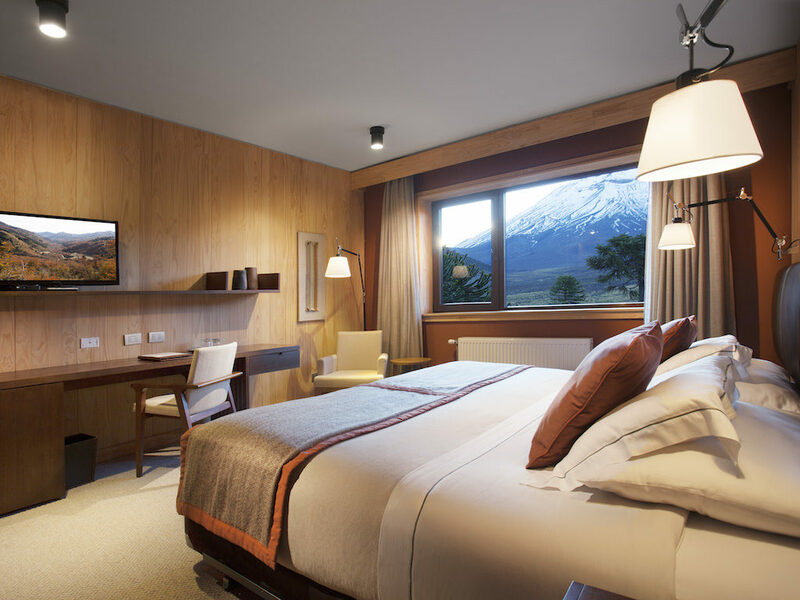 Off the hill activities include exploring the monkey puzzle forests, hotel spa, a hot spring feed pool, hot tub, Chilean dinner buffets, local red wines, karaoke‚—and more. All with a 0% chance of mansplaining on the slopes. 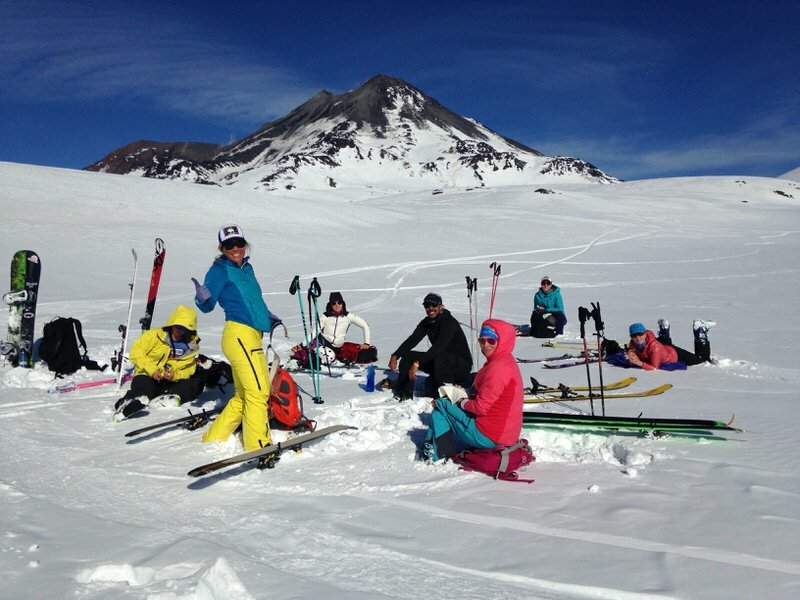 This exclusive women’s focused ski camp all started thanks to Ingrid Backstrom in 2012. Jess McMillan took over in 2016 when Ingrid started her family. Extend your trip? No problemo. Check-out suggestions in the “FAQs” below! 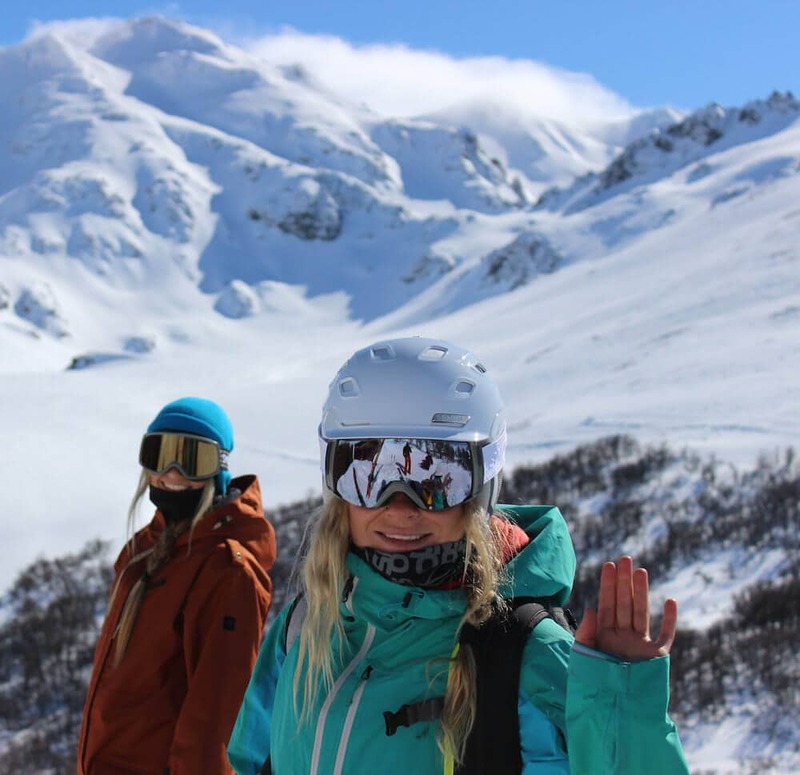 Advanced female skiers, this trip is for you. Whether you’re here to improve your backcountry chops, or try “uphill skiing” for the first time—you will find your edge and push it. 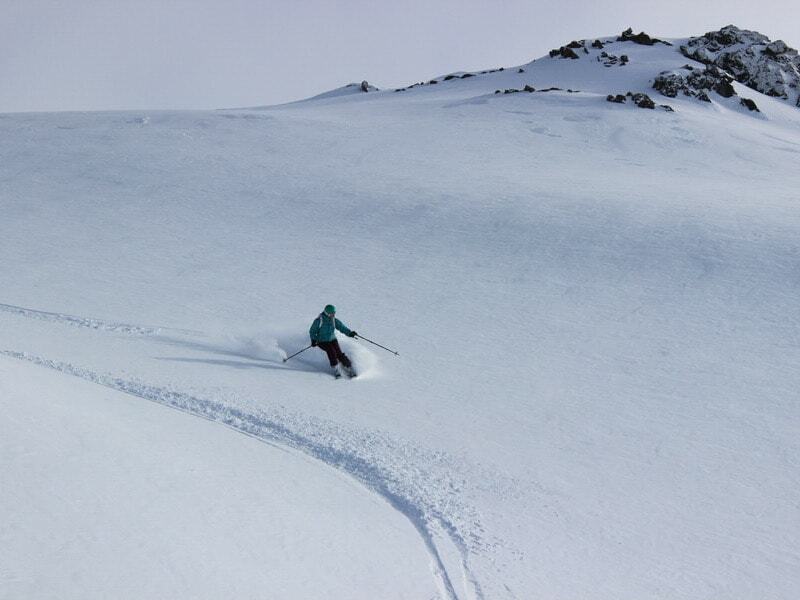 Explore off piste skiing and sharpen your technique at our freeride clinics led by pro skier Jess McMillan. 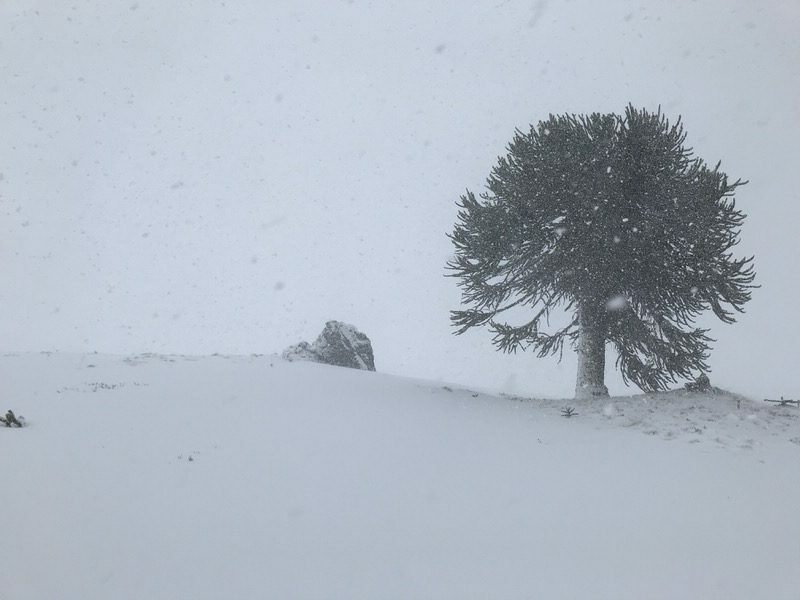 Located at the base of the resort, nestled in a venerable monkey puzzle forest, this is the ideal ski-in/ski tour-out lodge. 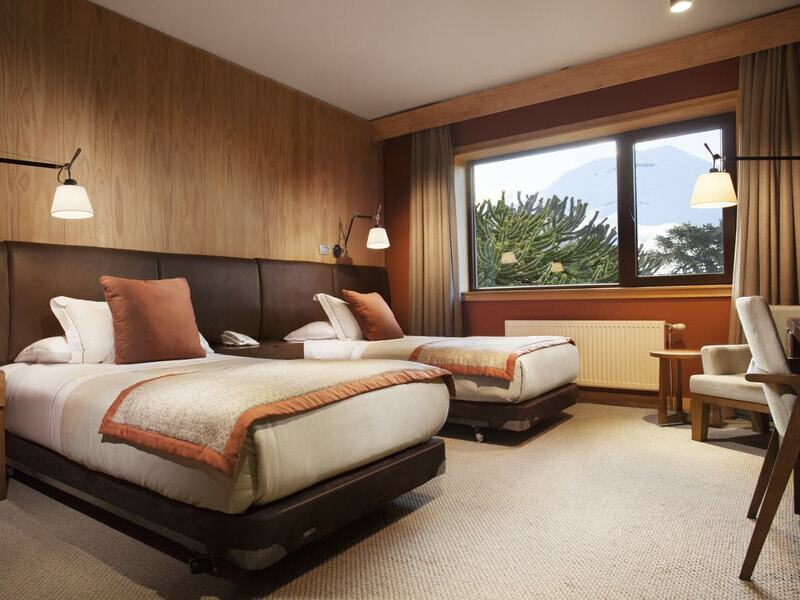 Enjoy a comfortable room with private bath, gym, spa, heated indoor pool—and an outdoor hot tub with breathtaking views of the volcano. A once in a lifetime experience. 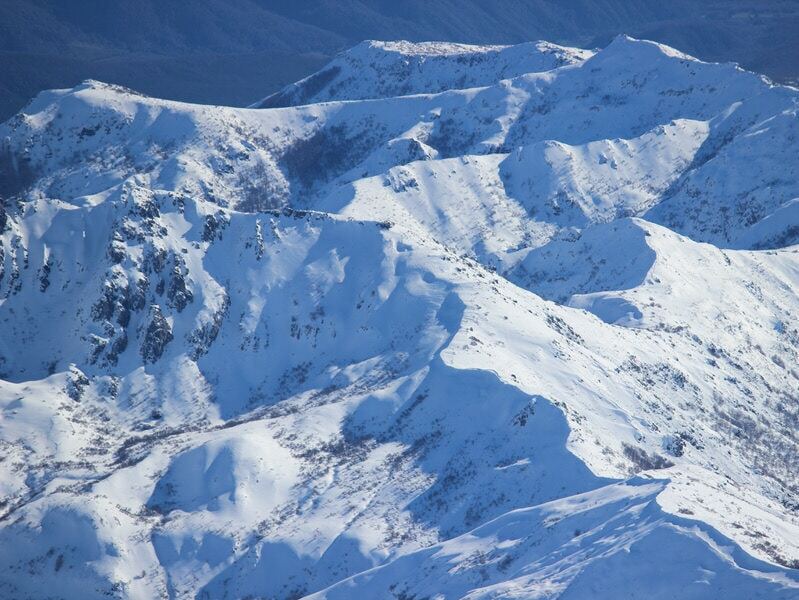 Level up with one of the world’s best skiers at your side. Because if you don’t do it now, you’ll just be a year older when you do. I’ve spent four of the last seven summers on PowderQuest Adventures. 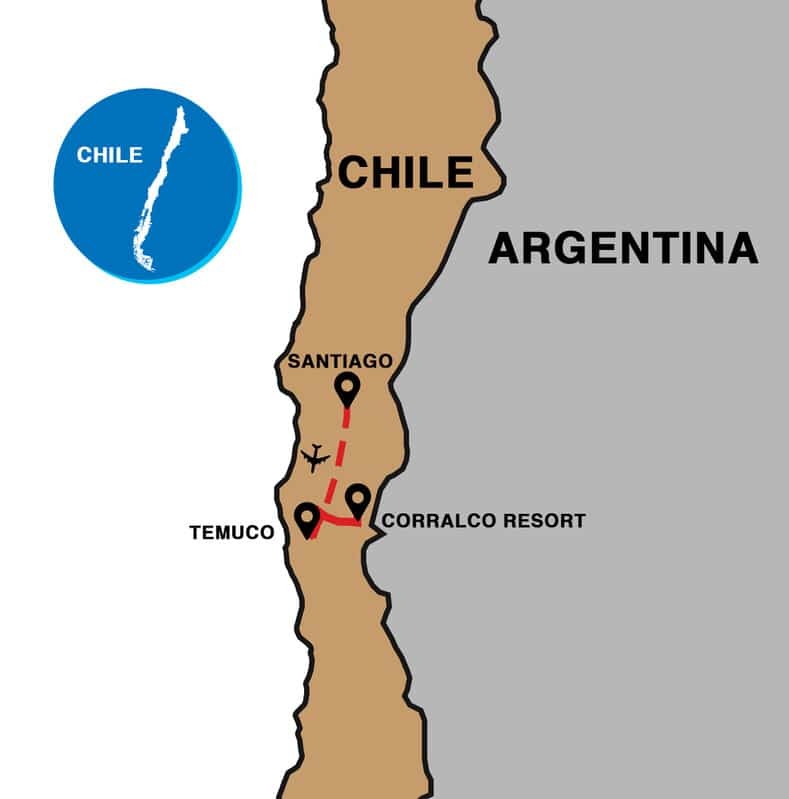 The Andes are amazing, the PowderQuest people are incredible, and the skiing experience in Chile is like no other. Imagine traveling to South America to hang out with your best friends, some you haven’t even met yet… and having the time of your life! It’s become an addiction. I am so excited to be a partner with PowderQuest. The terrain is super fun and great for working skills and pushing limits. I am looking forward to an amazing week! I am so thrilled that Jess McMillan will be filling in as head coach. She is one of my favorite skiers and people to ski with–she absolutely charges, she is an amazing coach with tons of experience and I always learn from her when I ski with her. Plus she has great energy and is just an awesome person to hang out with on a ski trip or really anywhere for that matter!